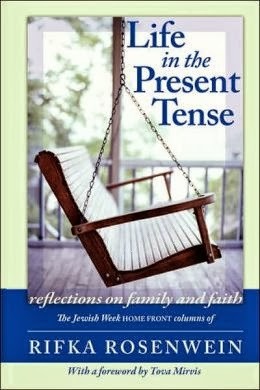 Life in the Present Tense: In November 2007, Ben Yehuda Press of Teaneck, New Jersey, published Life in the Present Tense, a collection of 64 essays written by Rifka Rosenwein, of blessed memory, for “Home Front,” her monthly column in The New York Jewish Week. For reader of The New York Jewish Week, the country’s largest Jewish newspaper and what the Village Voice called “the paper of record in the Jewish community,” columnist Rifka Rosenwein was a singer of ballads who occupied a sacred spot in many hearts. She wrote the “Home Front” column in the paper for seven years, from 1996 until her death from cancer in the fall of 2003. She was 42. By the time Simchat Torah rolled around last week, most everyone I know was suffering from what I might call Yontif fatigue. This syndrome is characterized, especially among women, by: a) an overwhelming aversion to the kitchen and all things having to do with food; b) a sense that, while God is great, ritualized prayer can be excessive; c) and a renewed understanding of why you can no longer live year-round with your parents and siblings. 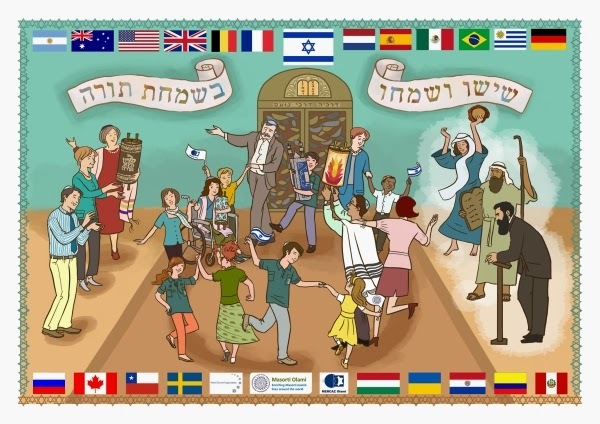 If I were on rabbinic Judaism’s ritual committee, I would not have clustered together four major holidays within four weeks, but then again, nobody asked me. 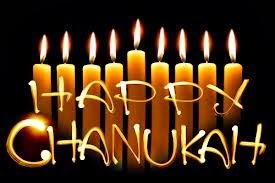 When the holiday season comes to a close, as it did this week, a collective sigh of relief can be heard from most Jewish households. Finally, we can get back to work. Finally, the kids are back in school. Finally, the kitchen is closed and will not reopen until maybe Thanksgiving. There’s a sense of getting back to things, of the year finally being underway, instead of coming along in bits and pieces, only to be interrupted by a different holiday each week. You can finally get things DONE – be it at work, around the house, or with the kids. But let’s face it. There is also a bit of a let-down. Maybe it’s because most of the holidays this year were on weekends, or maybe I’m imagining a mood swing this year because of all my health problems, but I sensed among people a bit more of a reluctance to let go of the holidays this year. “It’s a nice time of year,” a friend said simply. For all the griping, it is a time of year where the emphasis is on faith, family, and community. We are almost forced, by the strictures of the holidays, to spend time contemplating our deeds and hanging out with friends and family. The weather this year was for the most part glorious, and the simple act of walking over to a friend’s house and lingering there for the afternoon constituted almost an act of rebellion against our otherwise insanely busy lives. How indolent, how unproductive, how absolutely refreshing. Don’t get me wrong. I am, by nature, a creature of habit. I crave routine; it is, in fact, one of the things I miss most since having my life turned upside down by cancer. I’ve written complete odes to the mundane. I’d like nothing more than the satisfaction of a productive day at the office and an evening of homework, piano lessons, and soccer. One busy but ordinary day followed reliably by the next. I could wish for nothing more. But sometimes, maybe, I might have missed the back-story. Are days like Shabbat and holidays a distraction from real life – or are they, on some level, the point? Don’t we work hard and try to provide the best for our children at least in part so that we can enjoy those quiet moments, those get-togethers with friends and family, those days of communion with a Higher Authority? Think of the language of the day-to-day. Now that the holidays are over, we get to return to our commitments, our projects, our schedules. Somehow these words do not convey life. They convey a means to an end. They convey a constant clambering up, trying to reach some kind of plateau, some sense of accomplishment. Maybe on the holidays, which take us out of our normal existence, we get a taste of what that plateau might feel like. It’s the same feeling we can get on Shabbat, but it permeates for a month, instead of a day. And so, as we re-enter our real lives, and get caught up in our daily routines, maybe we can take a piece of the holiday spirit with us – the spirit of quiet reflection, and connectedness with family and community. Maybe we can pause to make sure that our busyness does not get in the way of our priorities, that our schedules do not obscure real meaning, that our commitments do not prevent us from spending time with those people and ideals to which we are truly committed. And just remember – Chanukah comes early this year ….